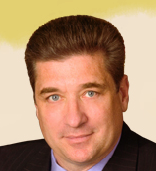 Charlotte accident lawyer Donald W. Marcari, Esq at Marcari, Russotto, Spencer & Balaban, P.C. receives the prestigious AV(R) Preeminent(TM) Peer Review Rating(SM) from Martindale-Hubbell(R). Charlotte, NC attorney Donald W. Marcari, Esq. of Marcari, Russotto, Spencer & Balaban, P.C. has received the prestigious AV(R) Preeminent(TM) Peer Review Rating(SM) from Martindale-Hubbell(R). The AV(R) Preeminent(TM) rating is the highest such peer review rating available to any individual lawyer. Donald W. Marcari has 26 years of experience and was admitted to practice in North Carolina in 1985. Don first gained national attention when his exploits as a young defense attorney with the U.S. Navy Judge Advocate's Generals (JAG) Corp became the basis for the motion picture, "A Few Good Men." Since 1985, Don has been fighting for injured people throughout North Carolina and Virginia. An AV(R) Preeminent(TM) rating is a significant accomplishment and a testament to the fact that a lawyer’s peers rank him or her at the highest level of professional excellence. Martindale-Hubbell is the facilitator of the peer review rating process. The ratings reflect the anonymous opinions of members of the Bar and the Judiciary. Martindale-Hubbell Peer Review Ratings fall into two categories: Legal Ability and General Ethical Standards. The Legal Ability Rating indicates professional ability in a specific area of practice and is based on five key areas: legal knowledge, analytical capabilities, judgment, communication ability, and legal experience. The General Ethical Standards Rating denotes adherence to professional standards of conduct and ethics, reliability, diligence, and other criteria relevant to the discharge of professional responsibilities. AV(R) Preeminent(TM) and BV(R) Distinguished(TM) are certification marks of Reed Elsevier Properties Inc., used in accordance with the Martindale-Hubbell certification procedures, standards, and policies. Most people are involved in one, or maybe two, accidents during their lifetime. The insurance companies and their adjusters handle thousands of accidents each day. By hiring an attorney with experience handling personal injury cases, you are arming yourself with the weapons to ensure you are treated fairly.